The Ocean Crystal Chapel is like none other you have seen. This unforgettable wedding chapel sits atop a flowing waterfall, where sunlight streams through the floor-to-ceiling windows. A staircase leads down from the chapel to a gorgeous gazebo set at the base of the waterfalls in a shallow lagoon. We both know you and your soon-to-be spouse are going to look amazing, but with a wedding ceremony at the Ocean Crystal Chapel, you can also rest assured that your entire ceremony will be as photogenic as you will! 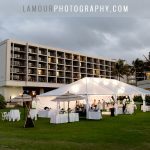 Whether you are planning an intimate cocktail recpetion or a raging party in a grand ballroom, the Hilton Hawaiian Villiage in Honolulu has many options to choose from. Why not end your wedding reception with a bang! Every friday night, the Hilton Hawaiian Villiage has a spectacular fireworks show, the Aloha Firday King’s Jubilee and Fireworks Show. This weekly show is a tribute to King David Kalakaua with spectacular Polynesian music and dancing and a fireworks. So, if you have a flexable schedule, plan your destination wedding at the Hilton Hawaiian Village for a friday and entertain your guests with a show and fireworks. 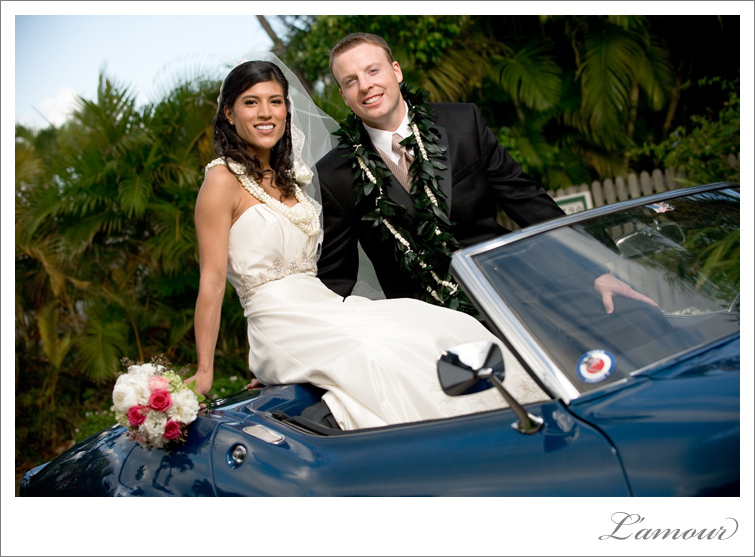 Please contact us at L’Amour Photography for availability to photograph your wedding on Oahu. This entry was posted in Events, News, Resources, Vendors, Venues and tagged Beach, ceremony, Fireworks, Hilton Hawaiian Village, Lagoon, Oahu, Ocean Crystal Chapel, Photographer, Reception, Resort and Spa, Waterfall, wedding. Bookmark the permalink.